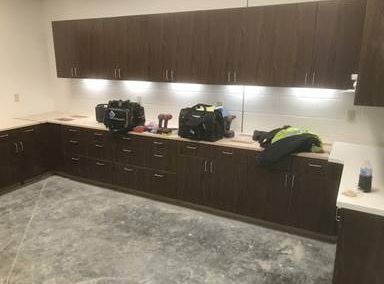 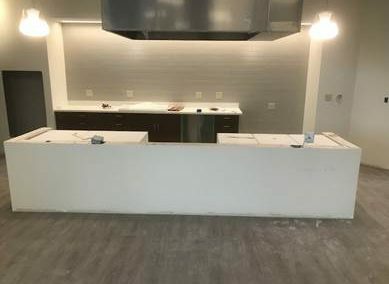 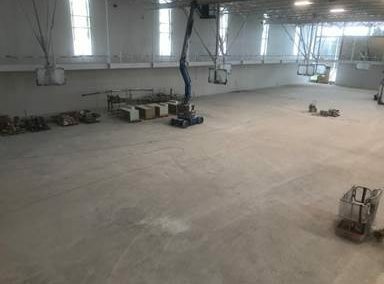 We got the gym cleaned up to check the floor for flatness and got half the walls painted and worked on installing more casework and vanities. 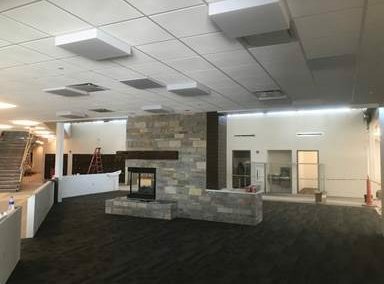 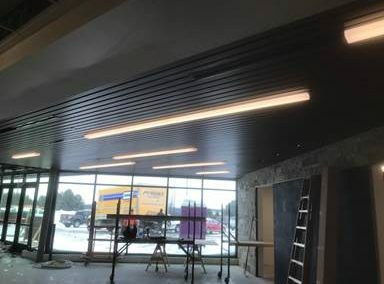 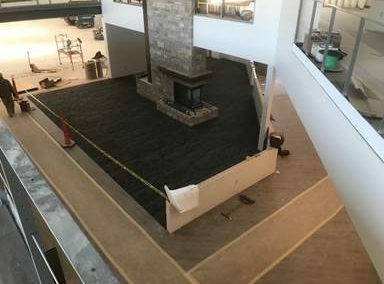 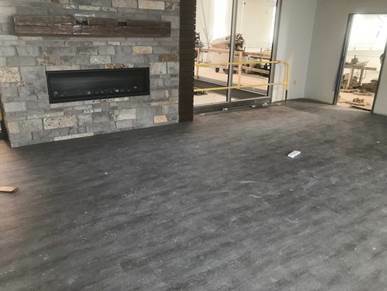 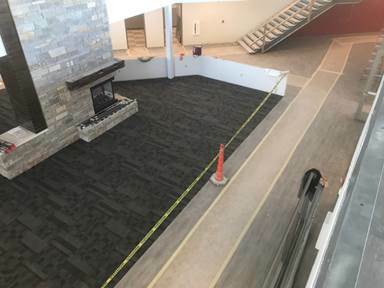 We also worked on the wood ceiling in the lobby and started flooring on 2nd floor. 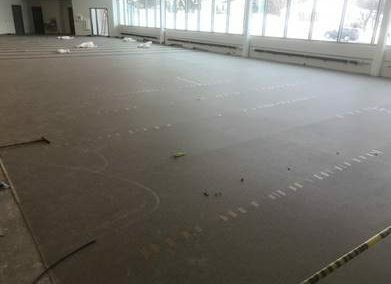 We finished flooring on the 2nd floor and got most of the 1st floor done. 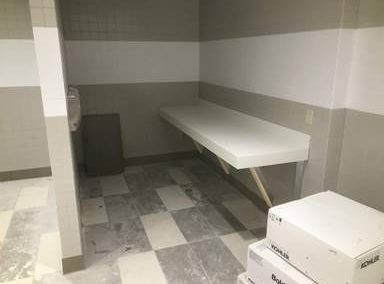 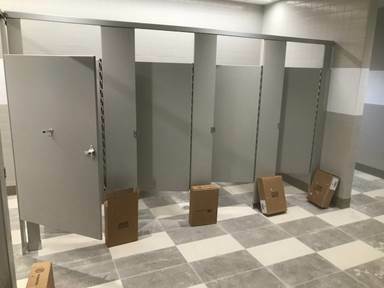 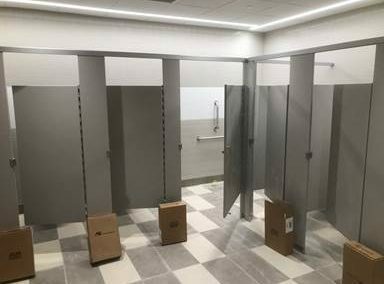 We also did our above ceiling inspection and installed all the ceiling tile on both floors and installed all the bathroom partitions. 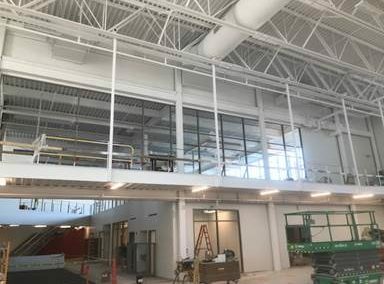 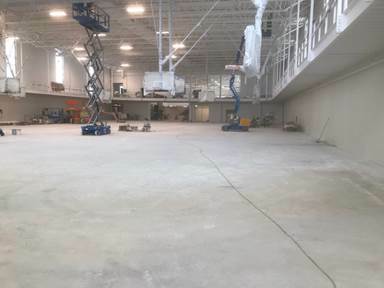 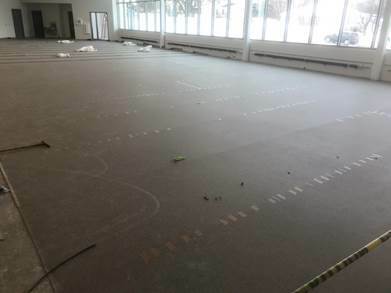 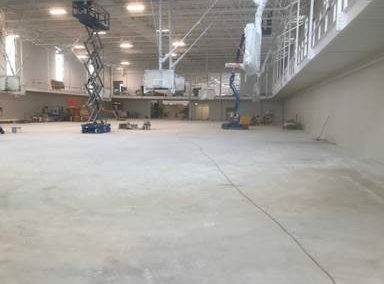 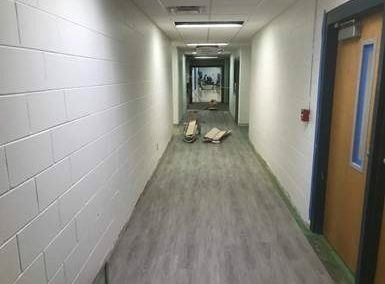 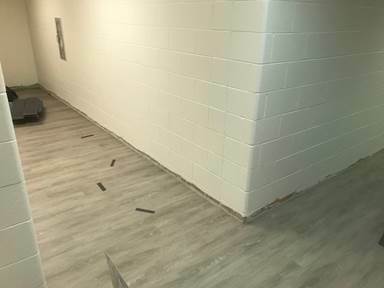 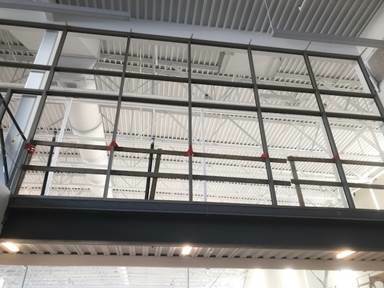 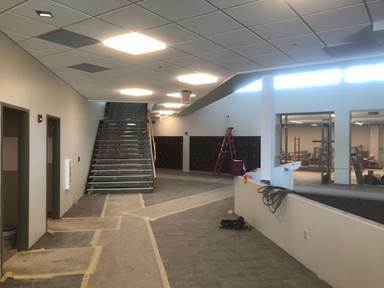 We painted the walls, installed new flooring and new ceilings in the hallway of the existing 1st floor and started installing the large window that separates area B from the gym.